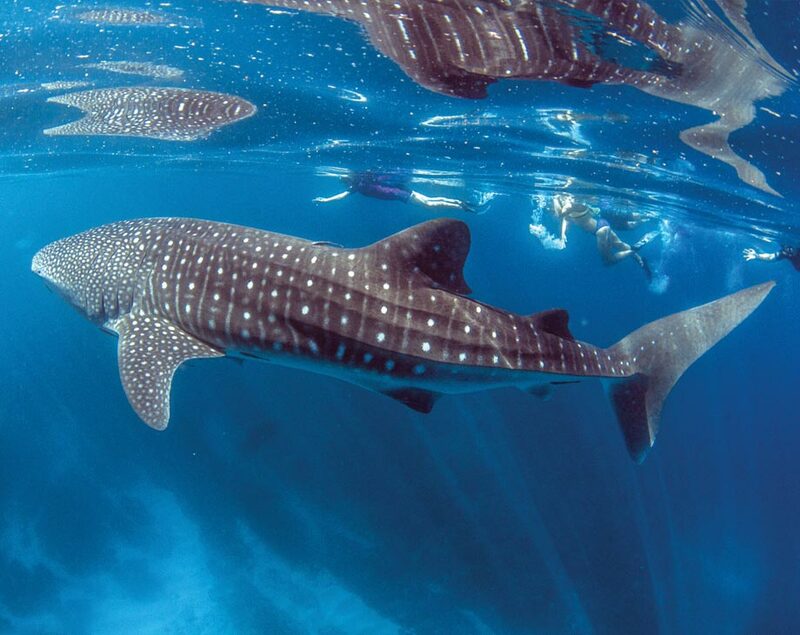 Whale Shark Swim, prepare to be amazed by these gentle giants. Every year, between March and July, the Ningaloo Reef in Western Australia hosts an aggregation of up to 600 whale sharks returning to the area to feed. 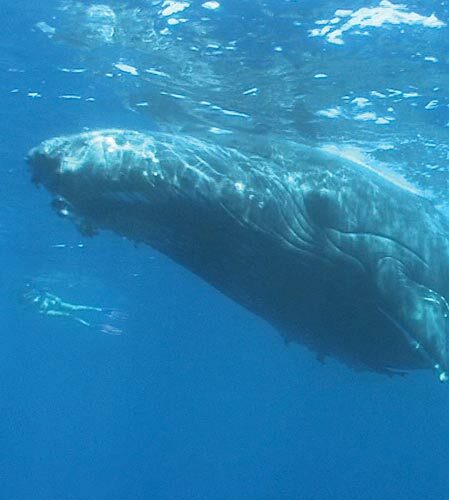 Making it one of the best places in the world to spot these gentle giants in the wild. Whale sharks can grow up to 18 metres in length, with a mouth over a metre wide which is designed for the perfect consumption of plankton and krill. Despite their name, whale sharks are filter feeders and are absolutely harmless to humans. 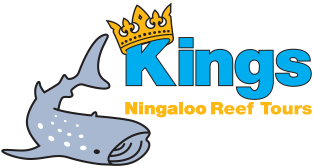 The Kings Ningaloo Reef Tours crew feel extremely privileged at having the opportunity to make so many peoples dreams come true each day. Your experience begins the moment you are collected from your accommodation in the morning by a friendly staff member who is as excited as you are to be spending the day on the World Heritage Listed Ningaloo Reef. Time flies on the bus journey to Tandabiddi boat ramp, as the knowledgeable staff provide commentary on the history of the township and coastline, the Cape Range National Park, and information about marine flora and fauna that inhabits the reef. If you’re lucky you may even see a kangaroo, echidna or a cheeky dingo on the drive around the Cape. Upon arrival at the Tandabiddi boat ramp you’ll be safely transported via dingy to the purpose built luxury vessel ‘The Magellan’. As you step on board you’ll be welcomed by the rest of the crew, provided with all equipment needed for the day and inducted in all safety aspects of the vessel. With introductions and briefings all done, you’ll find yourself wandering around the deck and bow of the boat, marvelling at the views of the beautiful turquoise waters of the Ningaloo reef. Keep an eye out for friendly dolphins or maybe a dugong on the way through the lagoon! Arriving at the first snorkel spot you’ll notice how clear the water is and the colours of the fish as they dart in and out of the coral structures. With trained in-water guides by your side, there’s nothing left to do but enjoy the sights of the coral reef gardens and the hundreds of species of fish that can be found. Regardless of your swimming ability and experience, you are in safe hands and need not worry about missing out. 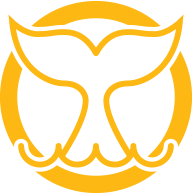 During this time, a spotter plane will ascend above to search for the main attraction of the day, the majestic Whale shark. You’ll be grinning from ear to ear after your snorkel experience, and while you make your way back onto the boat you can sense the excitement of what lies ahead. Once a Whale Shark has been sighted, it’s time to get ready as the boat makes its way over to the area! Lined up on the back deck in your snorkel gear, you wait anxiously for the signal from your trusty guide that it’s time to jump in. The Skipper and guides will position you so that the Whale shark will swim by you, allowing you to swim alongside the shark once it’s passed. Once the time with whale sharks concludes, the day continues with a delicious, fresh lunch on board provided, that caters to all dietary needs. And to top off the day, one more final snorkel on another coral garden inside the lagoon. If you have the energy left! From there it’s time for a return journey back on the bus, where you are warmly farewelled by crew that feel like old friends by the end of the day. We truly hope we can take you on this adventure of a lifetime very soon! Jacket/Jumper or spare change of clothes are recommended in cooler weather. Seasickness medication . If you experience motion sickness please seek advice from a pharmacist prior to your tour. FREE repeat tour on the next available day. Should you not be available for the next available tour a partial refund will apply. Take a look at this 360 degree footage to see what swimming with a giant Whale shark on the Ningaloo would be like. Winstons Backpackers, 1112 Murat Road, Exmouth 6707.